NEW! 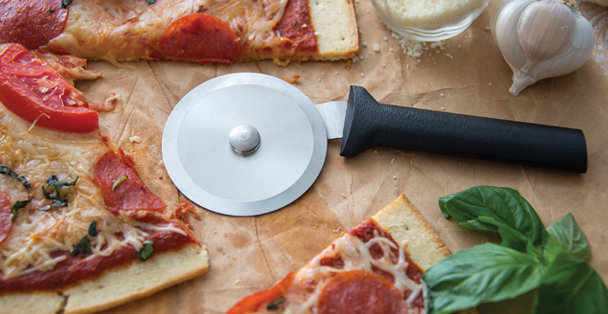 We are huge fans of Rada Cutlery and are proud to bring you the Rada S/S Pizza Cutter. The Rada pizza cutter features a 3" stainless steel wheel and approximately 4.5 inch black resin handle. Slices any size pizza with comfort and ease. Wheel 3" - overall 7 5/8"